DR. STEVEN REISMAN, A NEW YORK CITY CARDIOLOGIST, DISCUSSES AN INCREASE IN RESTING HEART RATE IN MIDDLE AGE AS A RISK FACTOR FOR DYING OF HEART DISEASE. An increase in resting heart rate during middle age can signify an increase in risk of dying from heart disease HealthDay (12/21, Gordon) has reported in a recent large study from Norway. Previous studies have noted that there is a relationship between an increase in resting heart rate and an increase in cardiovascular death and sickness in the general population. A group of approximately thirty thousand men and women who live in Norway with no known heart disease at the beginning of study were followed greater than ten years. The average age of the participants at the beginning of the study was 52 years old and they had no evidence of heart disease at that time period. People whose heart rates had increased from under 70 beats per minute to greater than 85 beats per minute over ten years had a 90% increased risk of dying from heart disease in comparison with those whose heart rate stayed around 70 beats per minute. These findings may suggest that an important marker of prognosis for coronary artery disease or ischemic heart disease may be both resting heart rate and the change in heart rate over time. This study also showed that individuals who had a relatively low resting heart rate at the beginning of the study had generally a healthier lifestyle than those with a higher resting heart rate. In other studies, an increase in resting heart rate over time was also associated with a worse outcome in patients with both hypertension and coronary artery disease. The importance of this study from Norway is that it was done in a very large group of healthy men and women with very good follow up and excellent statistical analysis. It is possible that this may also indicate that healthy lifestyle including physical activity, exercise and a low prevalence of smoking may go along with this lack of increase in heart rate to help represent improvement in prognosis. Dr. Steven Reisman, Director of the New York Cardiac Diagnostic Center states that a cardiology consultation along with analysis of risk factors including hypertension, diabetes mellitus, smoking, elevated lipids including an elevation in cholesterol or triglycerides along with family history is important in overall evaluation of risk for heart attack. Type 2 diabetes is also known as adult-onset diabetes and is a chronic condition that affects the way your body metabolizes sugar or glucose. With type 2 diabetes one’s body is resistant to the effects of insulin or the body does not produce enough insulin to maintain a normal glucose level. Type 2 diabetes symptoms may develop slowly. Some of the symptoms include an increase in thirst, frequent urination, increased hunger, weight loss, fatigue, blurry vision, and slow healing sores. Importantly, this condition may be asymptomatic. The risk factors for type 2 diabetes include being overweight which is a primary risk factor, inactivity, family history, and a condition known as pre-diabetes in which the blood sugar level is higher than normal but not high enough to be classified as type 2 diabetes. The most important complications of type 2 diabetes include an increase in risk for various cardiovascular disease entities such as coronary artery disease, heart attack, stroke, and narrowing of the arteries along with high blood pressure. Type 2 diabetes can be diagnosed by a simple blood test. There are two commonly done tests: one is called the A1C test and the other one is a fasting blood sugar test. The American Diabetes Association recommends routine screening for type 2 diabetes after age 45 especially if one is overweight. Screening is also recommended for those under 45 who are overweight and if there is other heart disease or diabetes risk factors such as a family history of type 2 diabetes or an elevated blood pressure. In a recent article, HealthDay (3/2/11, Gordon) describes the findings of the ACCORD Study. This study evaluated “intensive” glucose therapy compared to “standard” therapy in patients with type 2 diabetes and heart disease. This study found that intensive blood sugar control in a very aggressive manner does not benefit people with type 2 diabetes and heart disease and, in fact, may harm them. This study found that very aggressive attempts to control A1C may result in a decrease in the rate of heart attack but an increase in mortality. This study was published in the New English Journal of Medicine on March 3, 2011 and involved a large group of patients. One finding in this study appears to be that it is important to decrease blood glucose levels to the recommendation of below 7% A1C but possibly not below 6% A1C. Initial treatment for type 2 diabetes includes blood glucose monitoring along with healthy eating and regular exercise. Healthy eating should emphasize plenty of fruits, vegetables, and whole grains. In addition, counting carbohydrates is important and this can be done with the help of a dietician. Aerobic exercise is important and one should aim for 30 minutes of vigorous aerobic exercise most days of the week. In addition, if one is overweight, losing excess pounds is part of the treatment regimen in type 2 diabetes. In some instances, diabetes medication may be necessary if this initial treatment program does not work. Dr. Steven Reisman, Director of the New York Cardiac Diagnostic Center, advocates prevention of type 2 diabetes with emphasis on eating healthy foods, increasing physical activity and losing excess pounds. This can be done after an initial consultation to evaluate the individual’s blood sugar level and can also be done in conjunction with a registered dietician. In an article in HealthDay (3/21, Reinberg) a report from the online edition of the American Heart Association suggests that doctors should treat cases of potentially life threatening blood clots that form in the legs more aggressively. 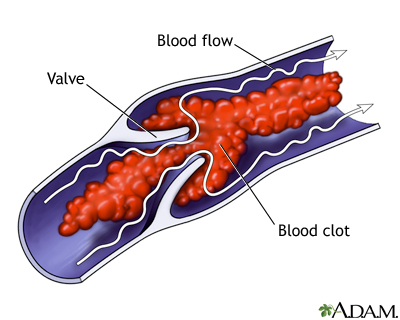 Deep vein thrombosis (DVT) occurs when a blood clot forms in one of the deep veins in the body frequently in the legs. It can cause leg pain but also can occur without symptoms. This condition can occur, at times, when sitting for a long time such as traveling on a long trip by plane or car and also if one has certain medical conditions that changes how the blood clots. One of the serious conditions that DVT can result in is when a blood clot breaks loose and travels to a different part of the body such as the lungs-this is called a pulmonary embolism. A pulmonary embolism can be fatal so it is important to look for the symptoms of this condition which may include unexplained shortness of breath, chest pain or discomfort, lightheadedness or dizziness, coughing up blood, or an extreme sense of anxiety or nervousness. If any symptoms suggesting pulmonary embolism occur this is a medical emergency and one should consider seeking medical attention immediately. Deep vein thrombosis when it occurs presents in several ways including swelling in one of the legs, pain in the leg, at times along with redness and warmth over the area of the leg. In the United States more than 250,000 people annually are hospitalized for deep vein thrombosis. The American Heart Association is presently suggesting more aggressive treatment with clot busting medications and intervention with catheters to break up the clots. Dr. Steven Reisman, Director of The New York Cardiac Diagnostic Center advises several preventative maneuvers to try to help prevent blood clots. These include if one is going on a long trip whenever possible get up and walk around. Raise and lower your heels while keeping your toes to the floor and then raise your toes keeping your heels on the floor. Make lifestyle changes such as lose weight, quit smoking, and control your blood pressure. Wear compression stockings to help prevent blood clots if your doctor recommends them. LOWERING BLOOD PRESSURE MAY HELP REDUCE WOMEN’S HEART DISEASE RISK. In an article in WebMD (1/24, Hendrick), review of a recent study suggested that middle-aged and older women who lower their blood pressure could reduce the risk of having a stroke, heart attack, or developing heart failure. This study conducted in over 9,000 adults follow for a median of 11 years found that three risk factors accounted for 85% of reversible risk for women and men. This included high systolic blood pressure, high cholesterol, and smoking. The most important risk factor in this study was felt to be high systolic blood pressure. By lowering systolic blood pressure by 15 mmHg in hypertensive women, the study found there would be an increased benefit in quality of life by prevention of cardiovascular disease in about 40% of women. In this study, the researchers used 24 hour ambulatory blood pressure monitoring. This device measures blood pressure both during the day and at night at certain intervals. Dr. Steven Reisman, a New York City Cardiologist states that at the New York Cardiac Diagnostic Center the doctors have recently been using a new in office automatic blood pressure device called BPTru to diagnose hypertension. This may also prove to be an excellent and more practical way to measure and treat high blood pressure in the prevention of heart disease. ONE IN THREE AMERICANS HAVE “PRE-DIABETES”. Dr. Steven Reisman, Director of the New York Cardiac Diagnostic Center, discusses the recent CDC report that approximately one in three American adults have the condition called pre- diabetes. Pre-diabetes is a condition with blood sugar levels that are higher than normal but not high enough to be diagnosed as diabetes. Individuals with pre-diabetes have a greater likelihood of developing type II diabetes along with heart disease and stroke. In a recent report in HealthDay (1/26, Preidt) the CDC reported that approximately 26 million Americans have diabetes and about 79 million Americans have pre-diabetes. This is a significant increase over estimated levels of pre-diabetes in 2008. It is felt that the increasing rates of obesity are related to the rising rates of both diabetes and pre-diabetes. Those who develop diabetes are not able to use the insulin that their body produces properly and therefore the amount of blood sugar increases. High blood sugar can have adverse effects leading to heart disease, stroke, blindness, kidney disease, nerve problems, and other vascular diseases. Anther reason that there appeared to be an increase in the finding of diabetes and pre-diabetes may have to do with a relatively new testing procedure called hemoglobin A1c which measures the level of blood sugar over a period of several months from a simple blood test. Dr. Steven Reisman, a Manhattan Cardiologist, advises that a simple blood test and consultation can determine whether an individual has either diabetes or pre-diabetes. If one of these conditions is found an aggressive regimen of weight reduction, exercise, and if necessary medication can be prescribed. A recent study has suggested that obesity alone can increase the risk of a fatal heart attack even excluding the effect of other risk factors such as hypertension and diabetes. Healthday (2/14 Mozes) has reported that obese men have a dramatically higher risk of dying from a heart attack. In the study of 6,000 middle age men followed for about 15 years, there was an increased risk of fatal heart attack independent of risk factors such as high blood pressure, diabetes, and high cholesterol. Obese middle-aged men had a 60% increased risk of dying from a heart attack compared to non-obese middle age men after taking out the effect of these risk factors. This suggests that obesity itself may be causing the heart attack. One theory is that obesity may be related to inflammation as a factor in a fatal attack. In addition, obese individuals have larger hearts because of their increase in body size and their hearts may already be “stressed” prior to a heart attack. Dr. Steven Reisman, Director of the New York Cardiac Diagnostic Center, states that our office advocates an aggressive approach about not only treating traditional risk factors but also obesity with nutrition counseling and also early diagnostic testing to detect heart disease prior to the development of a heart attack. DR STEVEN REISMAN, A NEW YORK CITY CARDIOLOGIST DISCUSSES THAT FIBER FROM WHOLE GRAINS REDUCES THE RISK OF DYING FROM HEART DISEASE. In an article in WebMD (2/14/11, Mann), a review of a recently published study found that men and women eating the most dietary fiber were 22% less likely to die from any cause including heart disease, infections, and lung disease compared to those who ate the least amount of fiber. The importance of this study was that prior studies have described the relationship between fiber intake and cardiovascular disease but few studies have examined the relationship between dietary fiber and mortality. Diets rich in fiber help lower blood cholesterol levels and blood sugar levels which may explain its beneficial effect. It is not known how fiber reduces risk but it may have something to do with an anti-inflammatory effect. The effect in this study appeared to come from cereal fiber, grain, and beans. The new US dietary guidelines recommend that at least half of all grains eaten be whole and unrefined. The goal for fiber is 25 grams per day for women and 28 grams per day for men. One of the easier ways to accomplish this is to eat “whole grain” breads, cereals, and baked goods as opposed to refined varieties. Another way to increase cereal fiber would be to eat cooked cereal. Dr. Reisman, a Manhattan Cardiologist advises increasing dietary fiber to add a beneficial effect in both men and women. aorta. 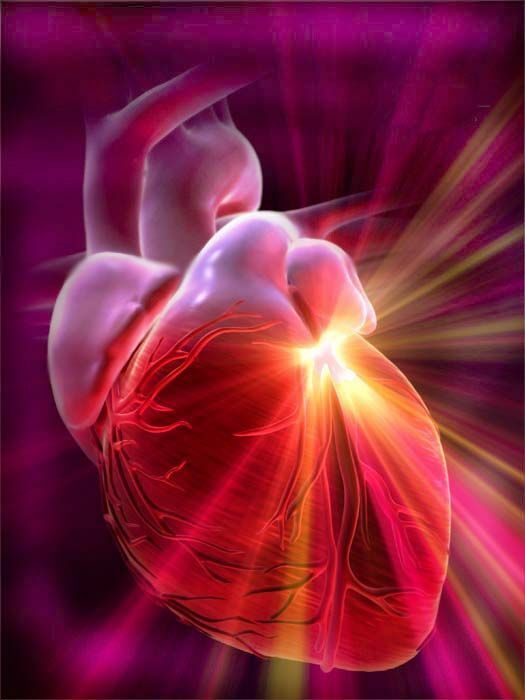 The aorta is the major blood vessel that carries blood from the heart to the rest of the body. blood also breaks through the outer aortic wall this is usually fatal. along with smoking cessation for prevention.